I recently shared some numbers about the email conversion rate for a solo email message I sent to two of my lists. The email message was the exact same, the offer I was emailing about was the same, and I sent them at the same time, yet one converted at 2% while the other converted at 30%. The only difference was the type of list it was. 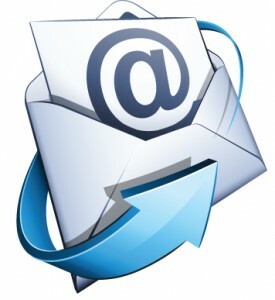 The email that converted at 2%, was a typical free subscriber list. I stay in touch with them regularly both with content (including links to blog posts) and special offers. The second list, the one converting at 30% was my customer list. These are people that ordered various ebooks, reports and affiliate niche packs from me. By the way, the conversion rate refers to how many people ended up buying the product that I recommended in the email (it was an affiliate offer). Lesson Learned – Paying Customers are much more likely to buy again, be it another product of yours or something else that you’re recommending (and hopefully getting a nice affiliate commission on). Why Does Your Conversion Rate Go Up With Customer Lists? Let’s talk for a moment why you can expect to see much higher conversion with customers. I think there are two different things that come into play here: Trust and Commitment. You have already build a lot of trust with someone that decides to open their wallet and pay you some of their hard earned money. Then you deliver with a good product, some surprise bonuses and stellar customer service. What happens next? Your customers like and trust you. This makes them much more open to take you up on any offers or recommendations you have in the future. While trust is probably the more obvious emotion at play here, commitment is also working to our advantage. Our customers are very committed to us, simply because they had to jump to quite a few hoops to get to the point were they make it on the customer list. Think about this for a moment. Your customers have to discover your product one way or another, read your sales letter, click the order button and then fill out a form, enter either their credit card information or move on to paypal to complete the transaction. Then they are busy downloading the product and hopefully spend some time consuming it. That’s a lot of work! The people that make it all the way through, didn’t “X” out of your sales page, didn’t abandon the shopping cart etc. have shown a commitment to you. They like you and trust your recommendations as we’ve already established and chances are much better that they will click the order button again – be it for another product of yours or an affiliate product you are recommending. That’s why customer lists will outperform free subscriber lists.